Time for topiary…or is it? Your box hedging will have started to bursting into full glory in March and although there’ll be lots of new shoots, you should still hold off on grabbing the shears just yet. Wait until the 1st week of June – traditionally Derby Day – when all risk of frost or box blight has gone. The young growth will have begun to mature, leaving you with tougher leaves to form a better and tidier shape. And – if you DID prune in the Spring, don’t worry – there’ll be another flush of growth in the Summer which will bring new foliage cover. You might want to start off with something a little more straightforward or a lot more adventurous! You can trim simple shapes such as cones, spheres or balls just by eye. If you’re a perfectionist, you’d be better off using a garden cane or similar as a guide. Then all your edges will be straight and uniform. Better still, make a template. For the all-time favourite box ball, get some garden wire and twist and mould into the best circular shape you can fashion. Make sure the frame is smaller than the foliage so that you can clip back to it and get the perfect sphere. To bring an outgrown cone back into shape, stand above the cone and, starting from the top, prune outwards and then work your way round. For an extra guide, make a wigwam shape from 3 canes, resting each on the side of the cone and pushing into the ground – here’s your framework. Got a sloppy spiral? No problem. Work from top to bottom, pruning the outer spiral surface first then return to the upper and lower turns of the spiral to bring back its curves. Most importantly for any shape you choose – step back regularly to check your handiwork from a few feet back. And remember, once it’s snipped, it stays snipped! Happy with your shape? You’ll want to keep it that way, so don’t forget to clip again, probably once or twice each growing season. 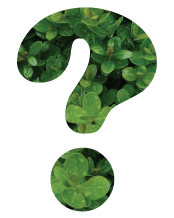 Next planting season, you might also want to consider alternatives to box, such as Yew (Taxus baccata) (which will need more trims in the Summer), Privet (Ligustrum), Holly (Ilex) or Boxleaf Honey (Lonicera nitida). You will be able to pre-order these and more lines from 1 June 2015 (around Derby Day!) for delivery from mid-November.